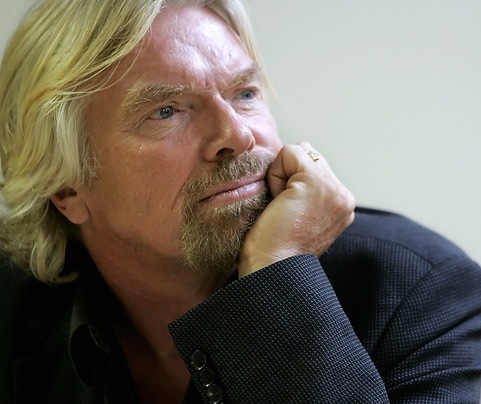 Sir Richard Branson is one of the most respected entrepreneurs on the planet and has started over 400 companies. He did all of this despite the fact that he has dyslexia. What are the secrets to his productivity? Richard’s number one “secret” to greater productivity is to keep fit and exercise. Exercise increases energy levels, helps you to sleep better and improves your focus and concentration. Richard actually often gets up early at 6am to run, which is pretty amazing for someone 60 years old! Richard believes in always keeping track and organizing your tasks and ideas in lists. Focus on activities that you enjoy and are a really good at. Try to delegate or outsource everything else. Richard believes in following a vision and then finding a way to make it happen. Don’t spend unnecessary time on legal and accounting strategy first. Instead set your vision, take action then adjust your strategy and figure out the details as you go. This is an obvious one for Richard. Running 400 companies it would be absolutely impossible for him to handle the details himself. Although not to the same degree, the same principles do apply for smaller businesses. You must understand the art of delegation. I have to be good at helping people run the individual businesses, and I have to be willing to step back. The company must be set up so it can continue without me. So you accomplished all your tasks for the day, were you productive? Possibly not. Productivity is not about accomplishing a list of tasks. It’s about achieving the big important tasks that make the biggest difference in your life. The concept of trying to keep control of everything in your life and to get everything finished is potentially LIMITING to your productivity. Instead aim high and focus on the few things that make the biggest difference in your life. If you aim high then even if you fall way short of your goal you will still accomplish a lot more than if you never set audacious goals in the first place. 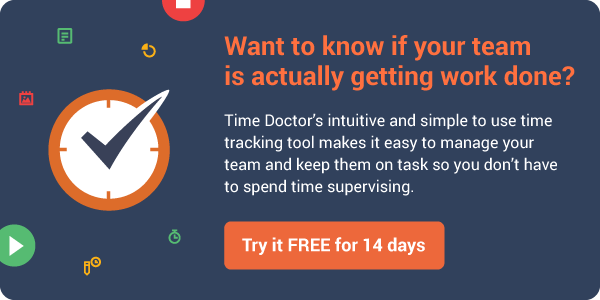 At Time Doctor, we also value productivity. Check out how one remote employee doubled his productivity in 3 months using our time tracking software. Obviously Richard Branson is a unique entrepreneur whose management style is devoid of traditional approaches. He stands out in the crowd and has built Benchmark organizations. It is difficult to emulate his style. I really want to be like him. This is amazing, 400 companies at a time! We need more to know about him. Thanks for sharinh this. Simple golden rules ! Clear in understanding, not so simple to follow. It just the matter of self-discipline! Great article, thanks! Everybody is different. I care much less about the individual things that work well for a particular person and would love to know more about more generic tips, or even better, ways to educate yourself in finding out what works/doesn’t work for you. Great compilation. These are some of the best productivity tips I have seen recently. Love simple and concise way in which they are compiled. Sure, you can be a management Guru when such ispiring articles are read always and implemented in your day-to-day management activities. Well tailored article with a focus! I agree totally with not getting the lawyers and accountants into a deal too early. I’m a CPA, and sometimes, it seems we come up with every reason why something can’t be done. It’s all about the marketing. I agree wholeheartedly, a 60 year old getting up at 6 am to exercise is normal and not amazing. I hope you will rethink your idea about “older” adults as 70 is the new 30. Might want to catchup with the times and your own stereotypes. I would agree that is SHOULD be normal. I would not agree that it is normal (the majority of over 60 year olds run in the morning or do significant exercise? I don’t think so, at least in the US definitely not). But absolutely agree that it is the normal state for any person to exercise regularly and sitting at home and not exercising although very common is not normal for the human body. It may be normal but it is most certainly NOT the norm in America! But 70 is the new 30 works for me. I thought 60 was the new 40! Love Branson! One of the best men in the world, and a great soul. I learned lots, having suggesting if you kindly some motivating books will help me to motivate my students. Please go through the books by Peter Drucker for more information on management. shoot for the stars! Oh ya…he is doing that too with Virgin Galactic….amazing! What´s the matter with ADHD ? Complete lack of fear… and fear is the biggest obstacle we all find to reach any goal. A 60-year-old getting up at 6am to exercise is in no way amazing. is to Science and Physics.